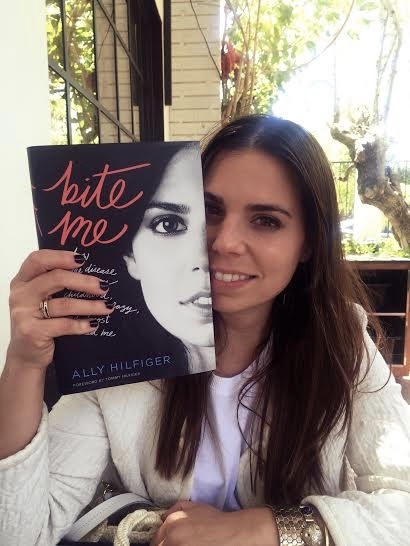 Author, artist and designer Ally Hilfiger suffered though twelve years of undiagnosed Lyme Disease and Babesiosis caused by a tick bite she got when she was seven years old. She saw almost a dozen doctors who misdiagnosed her with everything from rheumatoid arthritis to MS. Ally spent years deteriorating until being committed to a psychiatric hospital at age nineteen. 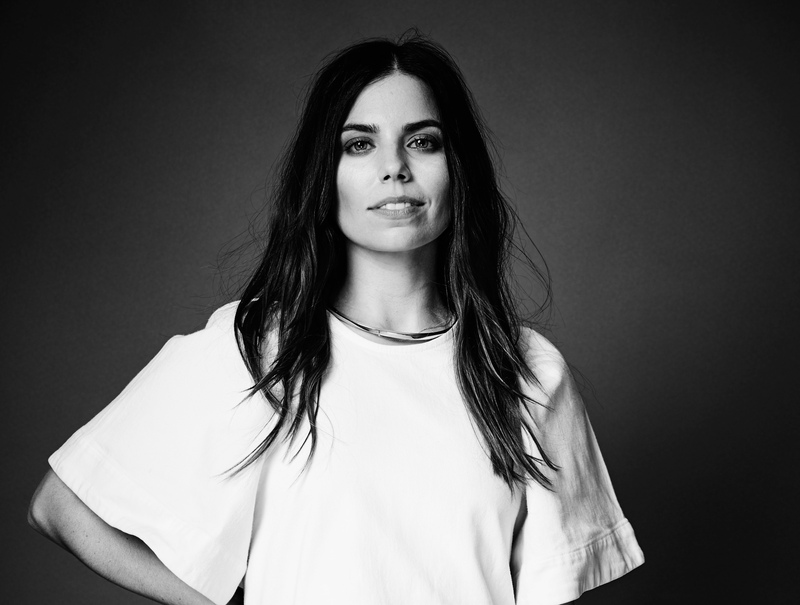 Her newly published, brutally honest memoir is called Bite me: How Lyme Disease Stole My Childhood, Made Me crazy, and Almost Killed Me. Here, Ally shares with us her harrowing and, ultimately, hopeful journey through Lyme madness and into the light of recovery. I'm doing really well now and I am able to manage the disease and catch things before they get really bad. How do you know when you're crashing? It's weird, it's like a different kind of fatigue and lethargy than what's considered normal. I also get joint pain and my brain literally feels like it is moving more slowly. How many times has this happened to you since you have been on treatment? I've gone around the merry-go-round so many times I can't even count. However, after I had my baby, Harley, 15 months ago, it's only happened twice. What do you do to get back on track when you feel you are spiraling? I have something I call my toolbox and feel everybody should have their own with treatments and things that help them feel better. They can include anything from healing baths to detox recipes to medications to written or silent meditations, calling on friends who are supportive. Anything to boost your mood or immune system; your body, mind and spirit. The first thing I always do is look at my sleep and try to clean up my diet. I also have learned to say no a little more. I have my two "N" words; no and nap. It is hard to say no sometimes but often, it can save you from full-blown relapse. What were your range of Lyme symptoms? It started with joint pain, sore throats, headaches, muscle pain, fevers, confusion, memory loss, inability to read, blurred vision, and a ton of nausea. The cognitive and neurological symptoms are the scariest because you can't get sentences or words out, you can't remember people's names or your own birthday, you can't figure out what to do when you're at the grocery store- terrifying things that make it feel that your brain is shutting down. Did people think you were faking or being dramatic? Yes! I was told that maybe I should just go exercise. I had these paranoid thoughts that maybe I was being an overly dramatic person who was exaggerating, or maybe I was lazy and not able to deal with pain. But the truth of the matter is I was not being dramatic and sometimes I had to be over-the-top to get my point across because people did not understand. How many doctors did you see before you got your Lyme diagnosis? It's difficult to say, probably around 10. They told me I had everything from rheumatoid arthritis to fibromyalgia to MS to depression and chronic fatigue syndrome. Were you treated for any of those diseases? Definitely! I was given all kinds of drugs and anti-inflammatories but obviously they did not work because I kept getting worse. What was the breaking point that got your father to commit you to Silver Hill, the psychiatric hospital? I was having terrible panic attacks, major nausea attacks, and my brain started to shut down. This was not only from having undiagnosed Lyme disease but from the incredible stress of coming off of my MTV reality show. Also, my parents were getting divorced and I had no idea what I was going to do with my life after I got out of college. I was a wreck. I was using a lot of marijuana to ease my symptoms and I completely unraveled. It got to the point where I was babbling and talking in circles and I could not make sense of anything. I was crying, "my body is sick, there are bugs inside of me, I need help! Do something!" And my dad was saying "Honey, I will do anything I can to help you, what can I do?" How did you feel about your four months in the hospital? It was the scariest thing ever, to wake up there, but it was also the best thing because the psychiatrist there, Dr. Ellyn Shander, who I am so grateful for- she is amazing, figured out that it might be Lyme disease. She sent me to a Lyme specialist, Dr. Steven Phillips, who gave me a panel of blood tests and ultimately diagnosed me with Lyme disease and babesia, which he also felt was blatantly obvious from my symptoms. He started treating me with antibiotics and antimalarials. Then I got very sick from the Herxheimer reaction, which proved that I did indeed have Lyme disease all this time! It was actually a relief. Amazing that you finally got a diagnosis. Yes, but I had no idea how difficult and confusing and complicated the treatments would be. How long into treatment until you finally started getting some relief? I would get relief as I went on and off treatment. After a Herxheimer, I would usually feel a lot better. But after I would stop completely, a few months later I would relapse. It was extremely frustrating and ultimately, after the antibiotics, I sustained my health on homeopathy and Chinese medicine. Also, it was important to detox and eat a clean, anti-inflammatory diet. Let me be clear, longterm antibiotics really helped. It's like putting an army into your body. But in spite of all that, there were some really smart spirochetes that hid and it was such an assault that I really needed to build up my body again and detox and start transitioning into more natural remedies. I needed a sustainable way to manage this disease. Understanding diet, lifestyle changes, lowering stress, spending time in the sun- upping my vitamin D level, understanding how important it is to sleep- these things were so important! So moving to California must've been good for you. Oh baby, did that help! It's the sun, it's the dry air, it's no mold. I think mold can be a huge component in people who stay chronically ill with Lyme. I definitely feel it was one of my complicating factors. What else helped you get through the grueling treatment of Lyme disease? Staying off of alcohol and pot, and eating really clean. And now, I am able to enjoy myself a little more and not worry about it. I can have an occasional glass of wine and that's or stray from my strict diet a little and it makes me feel like more of a person again. I can incorporate a little more balance into my life because my body is strong enough to handle it now. You have this beautiful, perfect little girl with the love of your life, Steve Hash. Were you nervous to get pregnant? I wasn't planning on having a baby so soon. I didn't even think I could get pregnant! And then I did, and I was a little freaked out, but I was reassured by several doctors that I was strong enough and could handle it. And I felt in my heart that I was. My baby is perfectly healthy and normal but I am sure if I had had her 11 years ago, it would not have worked out. I don't believe I would have had a healthy pregnancy or a healthy child at that time because I was so sick. I felt really great during my pregnancy, I did not have any noticeable symptoms. What is your greatest lesson in all of this? The human mind is much stronger than we give it credit for. If you can keep that armor on and be a warrior for yourself, you can get through anything. There were times when I really believed it was too difficult and I could not live like this the rest of my life. It was awful. But I got through. No, I wasn't. I have a very positive constitution. But I learned that with love- and I was surrounded by so much love from my family- how to love myself. I learned how to take care, nurture, and love myself as if I was my own mother. And that was the most invaluable thing because now that I can do that for myself, I can do that for my baby girl. A lot of Lyme patients describe an impending sense of doom, like they're dying. Did you ever feel like that? Yes, a couple times with bad panic attacks. They were the worst. I had one where we called 911 and the EMT's came and did an EKG. They said I almost had a heart attack. It was from the Lyme because Lyme can affect the heart. If people suspect they have Lyme and want to be assessed, where should they go? 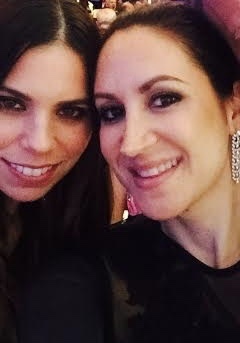 Us at the Global Lyme Alliance gala. It's not only for people with Lyme disease. It's really for anyone going through life. It's about perseverance. You and I met at the Global Lyme Alliance gala in Greenwich last month. What is your role there? I'm on their board, I love them and have known them for a long time. I support anyone who is fighting for this cause who is trying to do research and find answers. GLA is doing great work. What words of hope would you impart to people suffering right now, with Lyme or any chronic illness? Don't take your eyes off the light at the end of the tunnel. You will get there, even if it takes years. Stick with the program- know that it's temporary- be strict, and hold on to the fact that if I can get there, so can you.